Susanna Way Dodds (November 10, 1830 – January 20 1911) was a physician. She was born in a log cabin in Randolph county, near Richmond, Ind., on November 10, 1830. Her father was a lineal descendant of Henry Way, a Puritan, who emigrated from England to the US in 1630. Both father and mother were members of the Society of Friends. 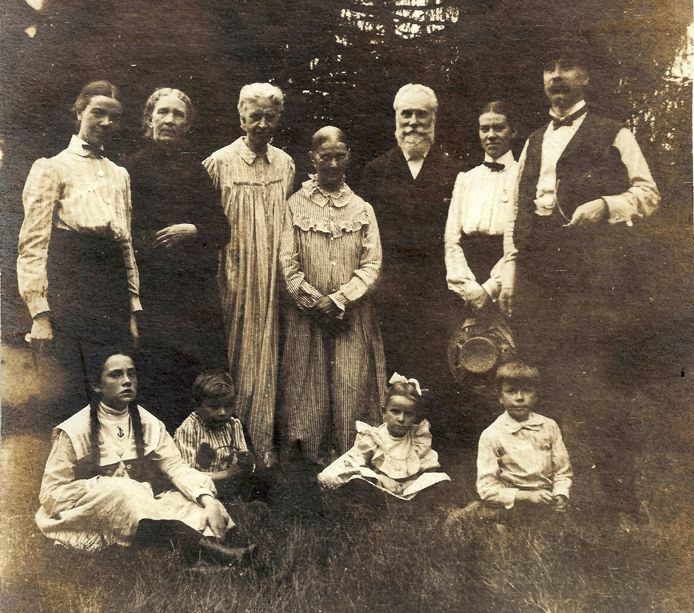 Their ancestors, who went west from Guilford, N. C, were originally from Nantucket. Susanna was the eldest of thirteen children. The father was in moderate circumstances and could give them only a common-school education. The eldest daughter was ambitious, and early set her heart on going to college. To her great grief, she soon found that, with the exception of Oberlin, there was not a college in the land that would admit women. There were only ladies' seminaries. She therefore decided to go to Oxford Female Institute, which was then conducted by Rev. J. W. Scott, the father-in-law of President Benjamin Harrison. To do this, Way began teaching in the common schools at a salary of eight dollars a month, and boarded herself. She was then seventeen years of age. By rigid economy she saved a small sum of money, and in her twenty-third year received her diploma from Dr. Scott's seminary. The much-coveted college course was not given up. The university in Ann Arbor was founded, and its doors were afterwards thrown open to women. Antioch with Horace Mann at its head admitted women and in the spring of 1856 Way entered the preparatory department of that college. Again her plans were frustrated. Sickness in her father's family called her home and also prevented her from earning money. The following year she became the wife of Andrew Dodds, a young Scotchman, whose liberal views were in harmony with her own. They made their home in Yellow Springs, Ohio, and the now Mrs. Dodds renewed her studies in Antioch, where she afterward graduated. She also completed a medical course, in 1864, in the New York Hygeio-Therapeutic College. Her husband at that time enlisted in the Federal army, and by exposure in the mountains of Virginia contracted a fatal disease. A short time before his death the family moved to St. Louis, Mo., and in 1870 Dr. Dodds began to practice in that city. She was joined by her husband's sister, Dr. Mary Dodds, with whom she remained associated till death. As physicians they did much for the physical redemption of women. In their practice they used only hygienic or natural methods of treatment; diet, exercise, massage, electricity and hydrotherapy in all its manifold applications, and had phenomenal success in the curing of both acute and chronic patients. Except in cases for relieving pain, as in the last stages of cancer or other incurable diseases, no drugs were ever used. Though diseases of women and digestive disorders were their specialties, they treated all other diseases as well. They lived in the house they built at 2826 Washington avenue until 1900, when they erected the handsome structure at 4518 Washington boulevard. The last twenty years of her life Dr. Susanna turned her attention entirely to writing. Her first work was "Health in the Household, or Hygienic Cookery;" the next, "Race Culture," which is a comprehensive and practical book for women. The manuscript of other books was left in form for publication. Dr. Dodds was very strenuous in her advocacy of the principles laid down by Drs. Trail, Graham and other pioneers in hydropathy and hygienic living. She wrote, "We need books, journals, papers, hygienic restau- rants — which are only recently being inspected in the proper manner by the public — and many other influences with which to spread these doctrines." In 1887 the friends of hygiene called a meeting in St. Louis to consider the founding of a hygiene college. The result of this was a certificate of incorporation dated August 5, 1887, by the State of Missouri. The college was known as the St. Louis Hygienic College of Physicians and Surgeons, and Dr. Susanna Dodds was its dean. It graduated several classes and after a few years was discontinued for lack of funds, but the principles and methods taught there have become more popular with the people, and are being taken up more and more by the regular medical schools, and practiced by physicians. Later in life her partner was Mary E. Pinckard (1860-1929). Dr. Susanna W. Dodds died at Long Beach, Cal., January 20, 1911.